Inter-regional disparities are persisting as a problem in the development process even after continuous efforts by the governments. 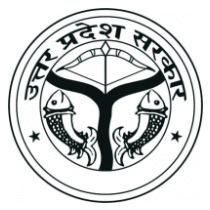 State Planning Atlases were prepared manually from outsourced agencies periodically for which Planning Department, Government of Uttar Pradesh, was paying heavily. Last manual Atlas available with the department is for the year 1999-2000. First time in the year 2003 Planning Department in collaboration with NIC-UP decided to prepare the bilingual State Planning Atlas using GIS tools. After the approval of DG (NIC), NIC-UP State Unit prepared Computerized State Planning Atlas 2003 using SPANS GIS tool. It has 3 parts as; Part-I : Maps and charts showing inter-state position of important indicators, Part-II : Indicator wise ranking of the regions according to the level of development and Part-III: Maps and Charts showing the classification of the districts on the basis of indicators of development. Atlases have been published regularly on an annual basis in the form of books and on the web for the years 2003-10. Visualizing the importance of State Planning Atlases in planning process, Lucknow District Planning Atlas was prepared 1st time using GIS tools on pilot basis for the year 2006, which has 2 parts as; Part-I: Maps and charts based on 30 indicators, showing comparative position of the district within the administrative division, Part-II: Maps and charts based on 69 indicators present the development position of the blocks in the district. Considering the power of GIS techniques a Rs. 5 Crore GIS project, was jointly initiated by Planning Department, Government of Uttar Pradesh and NIC-UP State Unit during the year 2008-09 for creating GIS infrastructures and generating a large number of online thematic maps & charts for understanding the gaps in the decentralized planning and measuring sustainable developments at the village, block and district panchayat levels. e-MANCHITRA (Map based Analytical Charting and Reporting Application) (http://emanchitra.up.nic.in) has been developed using open source technologies as per guidelines of Ministry of Electronics & Information Technology, Government of India. Post GIS, Postgresql server and Java Technologies have been utilised in e-MANCHITRA Geo Portal for generating dynamic thematic maps of State, Regional, Divisional, District and Block Planning Atlases based on SPIDER (Sankhyikiya Patrika : Internet based Data Entry & Retrieval, http://updes.up.nic.in/spatrika) portal indicators. a. State with Districts : This module generates dynamic thematic district maps consisting ranking of districts in descending order based on 90 indicators. Total 90 thematic maps can be generated on equal as well as on unequal intervals for the year years 2009, 2010,2011,2012,2013,2014,2015 and 2016. Districts in the state can be classified as backward and forward on a composite development index based on 31 indicators. b. State with Divisions : This module generates dynamic thematic divisional maps consisting ranking of divisions in descending order based on 90 indicators. Total 90 thematic maps can be generated on equal as well as on unequal intervals for the year years 2009, 2010,2011,2012,2013,2014,2015 and 2016. Divisions in the state can be classified as backward and forward on a composite development index based on 31 indicators. c. State with Regions :This module generates dynamic thematic regional maps consisting ranking of regions in descending order based on 90 indicators. Total 90 thematic maps can be generated on equal as well as on unequal intervals for the year years 2009, 2010,2011,2012,2013,2014,2015 and 2016. Regions in the state can be classified as backward and forward on a composite development index based on 31 indicators. Regional Planning Atlas module generates dynamic thematic district maps consisting ranking of districts in descending order based on 90 indicators. It also includes regional indicator for comparison purpose. Thematic maps can be generated on equal as well as on unequal intervals for the years 2009, 2010,2011,2012,2013,2014,2015 and 2016 for all the 4 regions of Uttar Pradesh. Districts of a region can be classified as backward and forward on a composite development index based on 31 indicators. Therefore total (90 x 4 = 360) thematic maps can be generated in this atlas for a particular year. Divisional Planning Atlas module generates dynamic thematic district maps consisting ranking of districts in descending order based on 90 indicators. It also includes divisional indicator for comparison purpose. 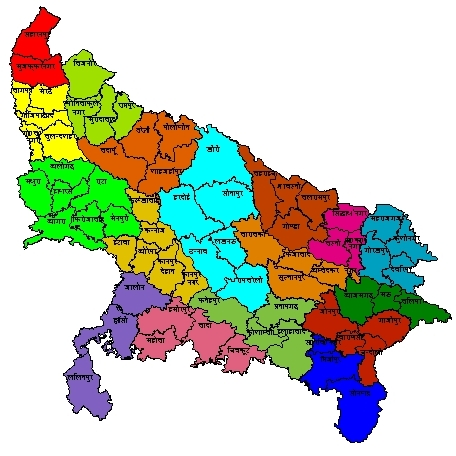 Thematic maps can be generated on equal as well as on unequal intervals for the years 2009,2010, 2011, 2012, 2013,2014,2015 and 2016 for all the 18 divisions of Uttar Pradesh. Districts of a division can be classified as backward and forward on a composite development index based on 31 indicators. Therefore total (90 x 18 = 1620) thematic maps can be generated in this atlas for a particular year. District Planning Atlas module generates dynamic thematic block maps consisting ranking of blocks in descending order based on 69 indicators. It also includes district indicator for comparison purpose. Thematic maps can be generated on equal as well as on unequal intervals for the years 2009, 2010,2011, 2012, 2013,2014,2015 and 2016 for all the 71 districts of Uttar Pradesh. Blocks in the district can be classified as backward and forward on a composite development index based on 22 indicators. Therefore total (69 x 71 = 4899) thematic maps can be generated in this atlas for a particular year. Block Planning Atlas module generates dynamic thematic gram panchayat maps consisting ranking of gram panchayats in descending order based on 29 indicators. It also includes block indicator for comparison purpose. Thematic maps can be generated on equal as well as on unequal intervals for the years 2009 for all the 9 blocks, consisting of 9 gram panchayats of Mau district only. Gram panchayats in a block can be classified as backward and forward on a composite development index based on 11 indicators. Therefore total (29 x 9 = 261) thematic maps can be generated in this atlas for a particular year. •	Inconsistency, duplicacy and erroneous spatial and non-spatial data presentation. •	Rectification and integration of spatial & non-spatial data and their integration was a challenge. •	Procurement of hardware/software, spatial data, GIS infrastructure set-up and GIS know how, were a difficult task. •	In the beginning there was a fear among the staff regarding computerization and GIS technology application. •	There was a resistance among the staff to adopt the new system. •	A number of training programmes on computerization, GIS technologies and applications were needed. •	Geography/Fine Arts Graduates/Post Graduates Cartographers/Artists are posted in almost all the district/divisional/headquarter offices of ESD but they were not updated with the GIS tools as well as they were under utilized. 1. Online e-MANCHITRA Geo Portal has provided a cost effective framework to users. 2. It generates online thematic maps based on socio-economic indicators on 24x7 basis. 3. Public representatives, planners, administrators, institutions, citizens etc. are identifying the inter-village panchayat, inter-block, inter-district, inter-regional and inter-state disparities which are helping in developing the under developed areas/under privileged societies. 4. It has reduced time lag, increased consistency, transparency & accuracy in the data. 5. Planning, development and administration have become transparent and easier for decision makers. 6. It facilitates superimposition of different layers on the same administrative unit which makes possible to take objective decisions in helping good governance at local levels. 7. Inter and intra village, block, district panchayats, divisional and at state level persisting disparities are being identified easily and plans are being formulated, implemented and monitored accordingly to overcome perennial problems. 8. Time series data analysis based on spatio-temporal databases is helping in proper planning and decision making. 9. Through prevailing geospatial technologies and NeGP programmes horizontal as well as vertical online information sharing is possible. 10. Productivity has been increased more than 75%. 11. State government is saving about Rs. 5 crore per year. Census 2001 data is available in all the altases till year 2012 and census 2011 data is available in all the atlases from 2013 and onwards.